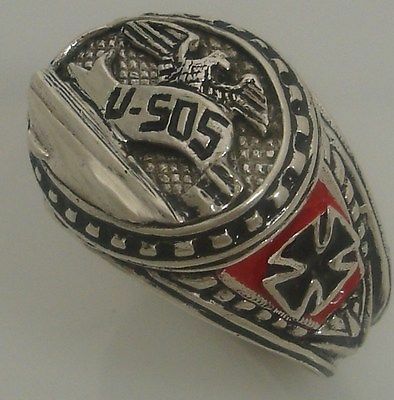 Hand Crafted Kriegsmarine Unter boot 505 oval topped ring, 3-D relief sculpted rendition of WWII captured German sub with entact Enigma Code machine .....excellent detailing, red enameled Kriegsmarine(2) markings accent fluted sides, worked silver shank. 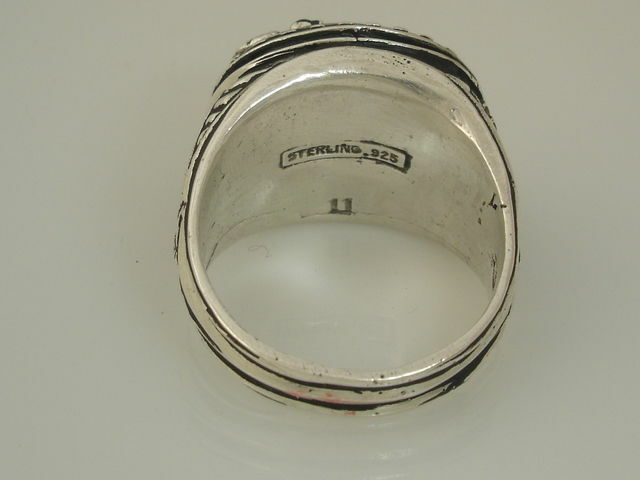 Exceptional WW II Period submariner Jewelry Designs! !